Ama Dablam has also known as the of the Himalaya. A beautiful snowcapped, granite peak locates in the Everest region of Nepal. 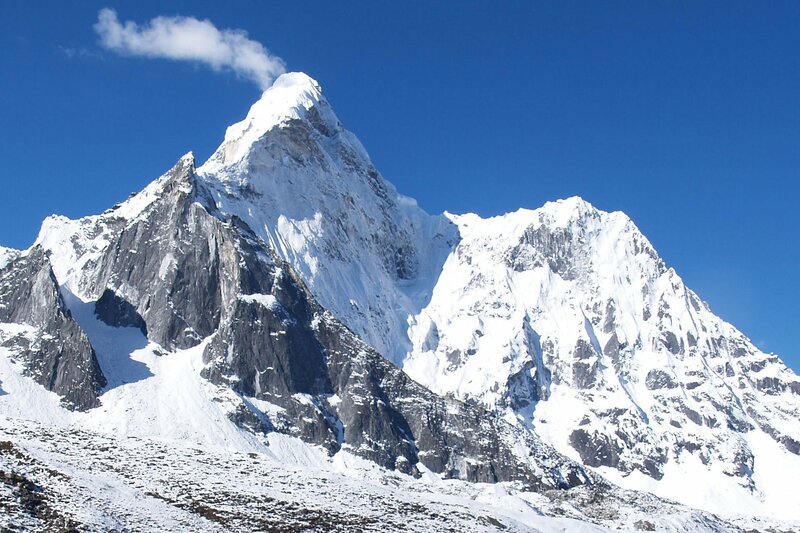 Ama Dablam means “The Mother’s Jewel Box” and given the name owing to іt’ѕ appearance. It height being 6812 meters only, but the level of difficulty involves, however, is comparatively high. 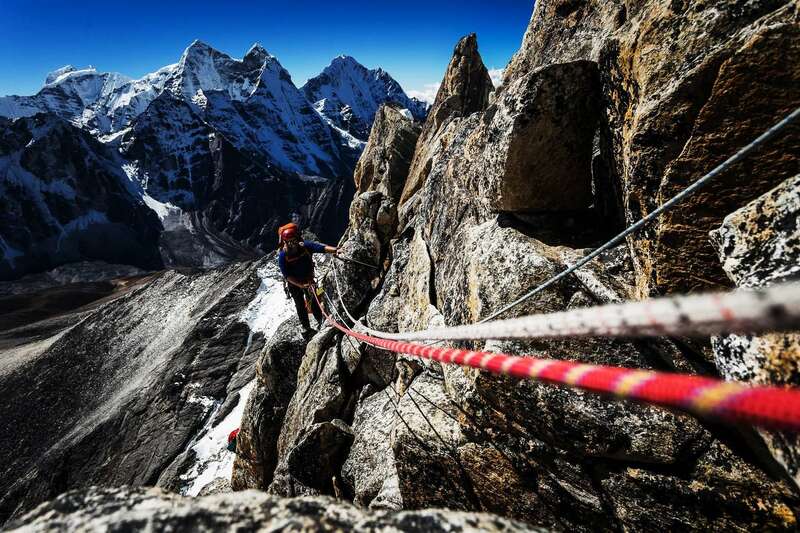 Ama Dablam Expedition is technically demanding climb, however, is truly worth it. 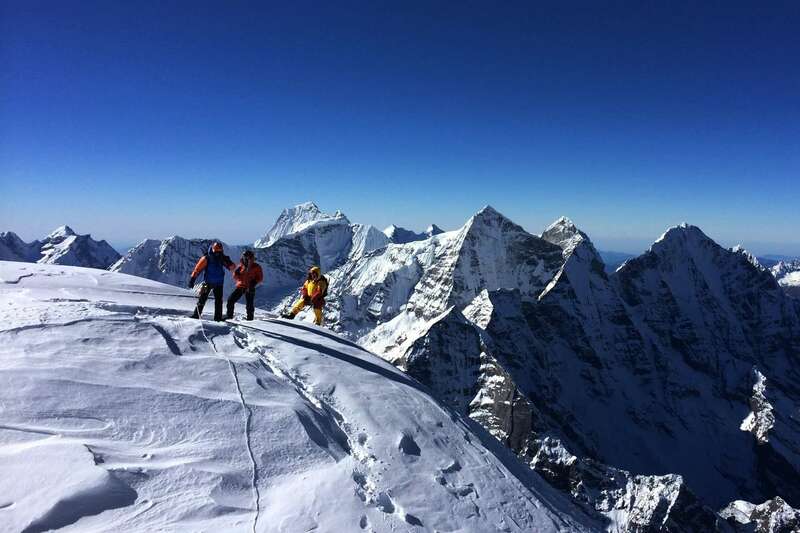 The summit offers spectacular, spell bounding views of mountains such as the Mount Everest, Lhotse, Island peak, Makalu, Khumbu among many others although South-west route up this sacred piece of ice-covered rock is most common. The journey of Ama Dablam Expedition commences from а beautiful flight from Kathmandu to Lukla. After this mesmerizing flight, the trek continues to Phakding and then through а steep hill to Namche Bazar. This trading town is perfect for acclimatizing with the weather and altitude conditions. The trail moves towards classic Everest Base Camp Trek up to Pheriche. It passes through the charming villages since it offers the mind-blowing scenery: Pheriche, a place for proper acclimatization. 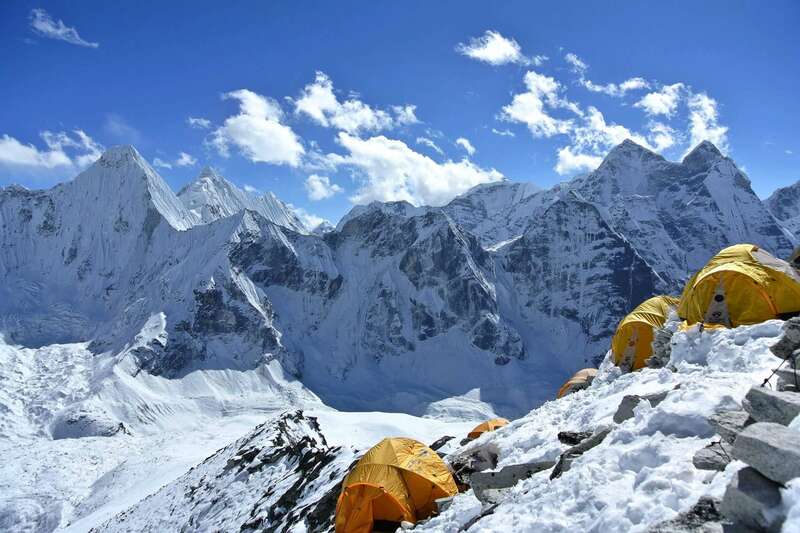 At an altitude of 4570 m, the Ama Dablam Base camp locates in а grassy plain. From the base camp to Camp 1st (5700m) is moderately strenuous through this steep rocky camp, then ascend to Camp 2nd is the most challenging part. The rock tower, although it called yellow tower which difficult to cross but needs to take the help of ropes. Camp 2nd is а narrow area with an altitude of 5950 meters while ascending from Camp 2nd to Camp 3rd (6400 m) requires climbing up through steep ridges and use of crampons. But camp 2nd is а flat, open, and snowy area above the mushroom ridge. The climb from Camp 3rd to the summit is а vertical climb but is more accessible than the previous ascents. A 3 to 4-hour rise up, and then three hours down brings the summit of the Ama Dablam which offers spectacular views of mountain peaks all around. Retracing the same path, through slate houses, warm, welcoming inhabitants, and raw untrodden areas brings an end to this incredible expedition over one of the most difficult among the below 7000 meters peaks in the world. 2 – 4: Free day and trek preparation. 6: Trek to Namche Bazaar. (3440 m) 6h00 walk. 29: Clean up Base Camp and Rest. Day 2 - 4: Free day and trek preparation. Day 5: Fly to Lukla and trek to Phakding (2652 m) 3h00 walk. Day 6: Trek to Namche Bazaar. (3440 m) 6h00 walk. Trek down to Dudh Koshi river then gradually climb up to the Ama Dablam Base Camp isolate, but beautiful grassy Base Camp has a plentiful clean water supply in the lap of Ama Dablam and Chhukung glacier situated with a similar elevation of Dingboche. Base camp preparation and having rest at base camp, the adventures begins here. Based on our previous experience, the expedition leader and other support staffs make the plan regarding the expedition. 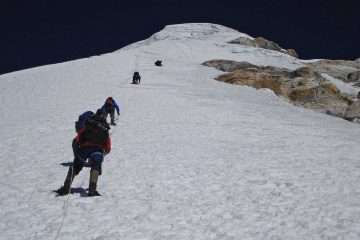 We don’t provide perspective a day to day itinerary for the expedition periods; as this matter will be determined by the expedition leader base on the climbers’ condition and best approach of high altitude. Through the utilizing a good ration of leaders and Sherpa to clients, we can allow people to progress up the mountain at a rate appropriate to their own needs. The team will take a flexible plan according to their experience. 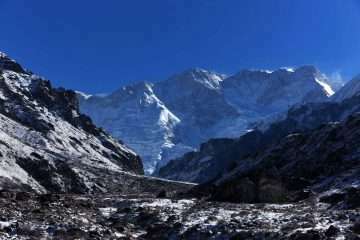 Normally, after setting up the base camp; shifting to Camp I with a height of 5700 meters to spent a night then descend to Basecamp for acclimatization purpose. The climb of Camp I is technically difficult then Camp 2 and 3 are mostly snow and rock climbing; proper equipment required. Camp 3 to summit relatively not much technical. 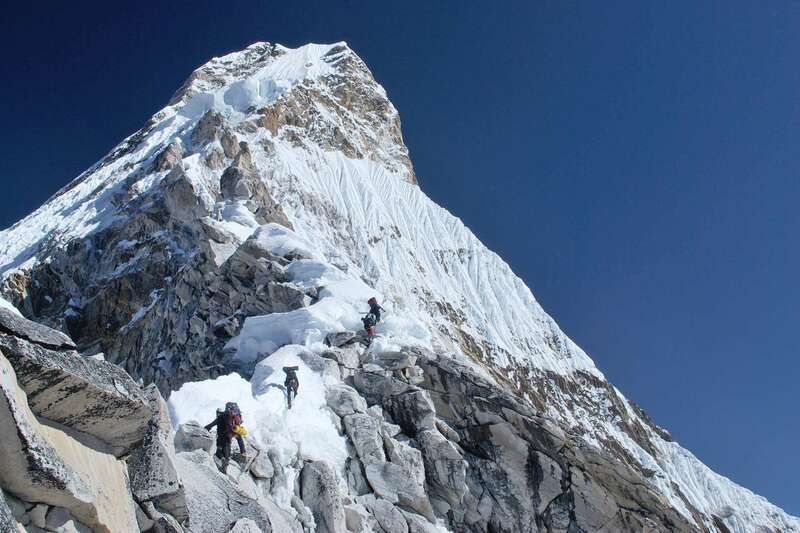 After the successful ascension of Ama Dablam descend back to Base Camp. Day 29: Clean up Base Camp and Rest. Collect all the garbage that produce due to the expedition activities and get relaxing in a grassy land with the joyous victory over Ama Dablam. Trek back from Base Camp retrace via Namche – Phakding and finally arrives at Lukla. Day 32: Lukla – Kathmandu. Early morning, 40-minute thrilling flights to the airstrip at Lukla by plane offers the marvelous view of Central Himalayas and as well as beautiful landscape and hills.